The agreements that definitively consolidate the Partnerships IOCCO & CUGHER were finalized in these days. 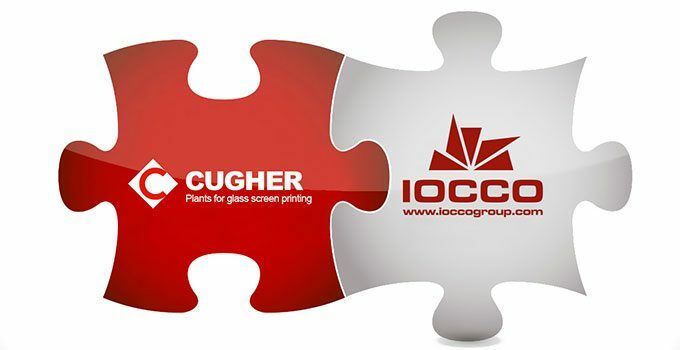 Cugher and Iocco consolidate the partnership. 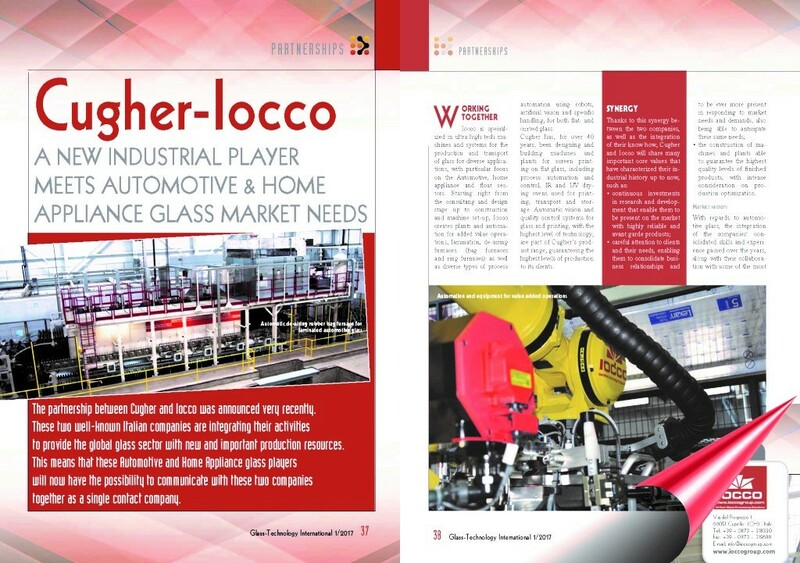 Iocco is specialized in ultra high-tech machines and systems for the production and transport of glass for diverse applications, with particular focus on the Automotive, Home appliance and float sectors. Starting right from the design stage and consultancy up to the construction and machine set-up, Iocco creates plants and automation for added value operations, lamination, de-airing furnaces (bag furnaces and ring furnaces) as well as diverse types of process automation using robots, artificial vision and specific handling, for both flat and curved glass Cugher has, for over 40 years, been designing and building machines and plants for screen printing on flat glass, including process automation and control, IR and UV drying ovens used for printing, transport and storage. the construction of machines and plants able to guarantee the highest quality levels of finished products, with intense consideration on production optimization.